Memory in Saudi Arabia price catalog ksa-price.com. Specs, best price, where to buy Memory in KSA. Offers for memory in Riyadh, Jeddah, Khobar (KSA). 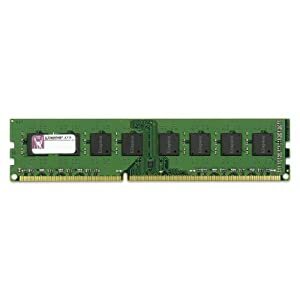 Kingston 4GB 240-Pin DDR3 SDRAM DDR3 1333 (PC3 10600) Desktop Memory Model KVR1333D3N9/4G. 1 year Warranty. 4 Gb; for desktops; DDR3 1600 Mhz (12800); 1x4Gb; G.Skill F3-12800CL9Q-16GBZL; non-ECC; Warranty 1 year. 4 Gb for desktops; DDR3 1600 Mhz (12800); 2Gbx2; G.Skill F3-12800CL7D-4GBRM; non-ECC; Warranty 1 year. Silicon Power 4GB DDR3 1333MHz SO-DIMM Laptop Memory. 1 Year warranty. SP004GBSTU133V02.